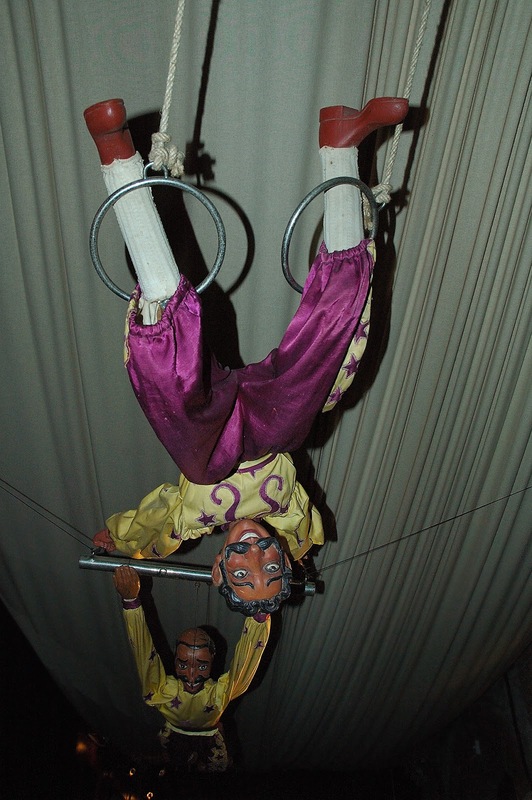 These are classic trapeze marionettes you can admire inside Tibidabo Amusement Park. The trapezists were hanging from the ceiling on our way to the small room where the marionette show was about to start. I am sorry if the picture appears to be upside down. There are many flaws because the image was snatched in a hurry. It was totally forbidden to take pictures of the marionettes. Ever since I was a little kid Marionettes have terrified me so I found this photo scary but fascinating. I think that I would rather have gone into Freddy Kruegers house in Tibidabo than watch the Marionettes.